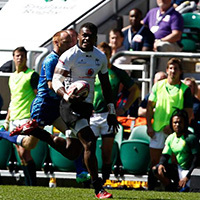 Official Website of Fiji Rugby Union » Fiji name Hong Kong 7s Tournament Team. Home > Newsroom > Fiji name Hong Kong 7s Tournament Team. 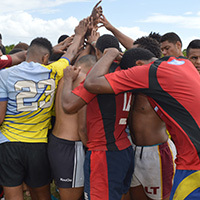 The 12 Fiji Airways Fijian 7s players to contest this weekend’s 7th leg of the HSBC World Sevens Series in Hong Kong have been named and Head Coach Gareth Baber says the boys are prepared and ready for the battle ahead. “We know the challenge ahead of us, starting with Kenya tomorrow afternoon. It’s six finals as always and one game at a time, but the boys have prepared well, they’re focussed, fit and ready to give it everything” he said. Alasio Naduva and Jerry Tuwai will return to Happy Valley flanked by Hong Kong debutants Filimoni Botitu, Aminiasi Tuimaba,Terio Tamani and returning international Livai Ikanikoda who regains a white jersey for the first time since 2012. Asaeli Tuivoka will be on stand by as 13th man. 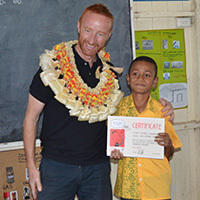 Every Fijian fan and player knows the significance of the Hong Kong tournament and with critical series points on the line the stakes couldn’t be higher. Fiji sit in Pool C and meet Kenya at 11.37pm FJT on Friday before taking on Australia at 4.13pm and New Zealand at 8.55pm on Saturday.